Get Your “Blind Athlete Opens World” keychain today! Get Your “Blind Athlete Opens World” Bottle Opener Keychain Today! Any donation you can make, big or small, will assist with training and racing expenses for Ivonne and her Guide runner. Share Ivonne’s story with family, friends, and coworkers. Send her encouraging thoughts and positive energy! 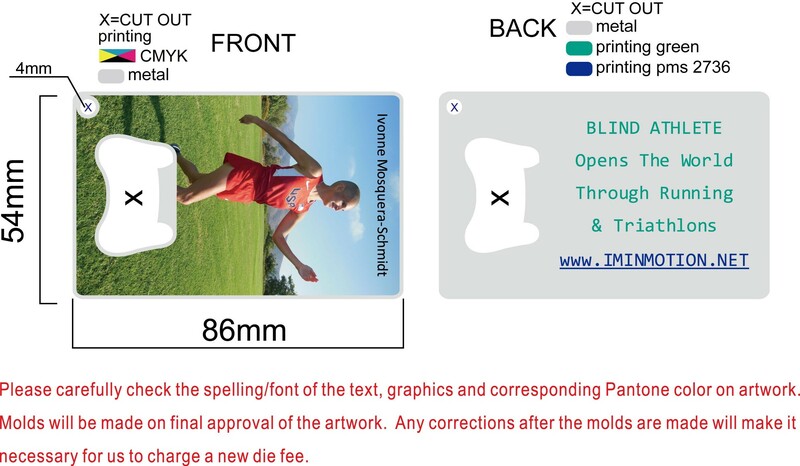 Purchase Ivonne's "Blind Athlete Opens World" Keychain! ©2009-2016 Copyright Ivonne Mosquera-Schmidt all rights reserved.